ClubPenguinCoins.com has faced numerous outages and hours of downtime throughout the month of May. In fact, our MySQL Database Server crashed this morning at around 11:00 AM EST, resulting in four more hours of downtime in May for the CP Coins Money Maker. I can’t make any promises, but given the uptime of our website over the past few months, I suspect that we will have minimal downtime in June. I also discovered a bug that was affecting a large number of users who utilize the CP Coins Money Maker — though I haven’t had any reports about this problem! Traditionally, the CP Coins Money Maker permits you to add up to 14,500 coins to your Club Penguin account each day. However, since May 17, the daily limit has not been cleared, and those who have reached the daily limit since May 17 have been unable to upload coins to their account. I apologize for this error, and I rolled out a patch for this problem today. 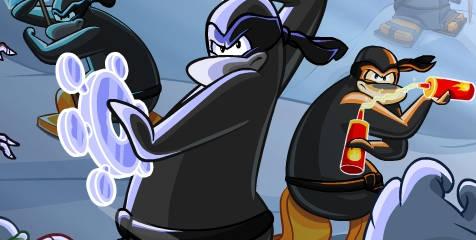 In other news, Card-Jitsu Snow is now available on Club Penguin, and I also heard from a friend that Sensei is roaming the Island. What do you think of Card-Jitsu Snow? This entry was posted in Announcements on May 29, 2013 by admin. I FOUND A CLUB PENGUIN GLITCH THAT ACTUALLY WORKS!